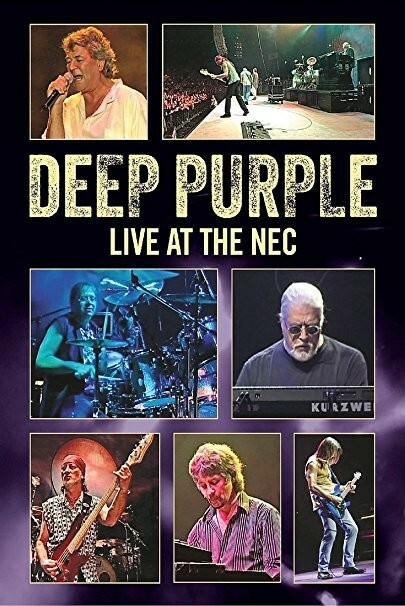 As Deep Purple continue to fire out live recordings on what seems like a weekly basis, this DVD release is one of some historic merit. Recorded in 2002 at the NEC in Birmingham, this gig is notable not just for the fact that the band deliver an excellent concert, but because it was founding member Jon Lord's last performance with the group. Kicking off with 'Fireball', the band are in superb form and vocalist Ian Gillan sings strongly throughout. 'Woman From Tokyo' is well received by the sell-out crowd and it's nice to hear the band delve into their back catalogue and produce an excellent rendition of 'Mary Long'. The Steve Morse era is represented by an energetic version of 'Ted The Mechanic' (which Gillan amusing explains was written about a bloke called Martin, who was a wine merchant, but that didn't work as well) and Morse shows his considerable chops on 'The Well Dressed Guitar'. Don Airey performs the keyboards through the show, as Lord had announced his retirement earlier that year from touring, and he does a stellar job with tracks like 'Space Trucking' and 'When A Blind Man Cries' sounding particularly good. However, the magic really happens during the keyboard solo segment, where Airey performs his usual dexterous flurries, before the lights go down, there is a rumble of a Hammond Organ, and Lord appears in his place to lead the band through a thunderous 'Perfect Strangers'. Lord shares the keyboards with Airey for the rest of the show and having two of the greatest keyboard players in Rock on stage at the same time gives the band another gear as they blast through 'Speed King', 'Hush', 'Black Night' and, of course, 'Smoke On The Water'. The show ends with Purple's usual opener, 'Highway Star'. There's some emotional backstage footage after the gig of the band and Lord as they prepared to usher in a new era. The concert itself stands as one of the best Morse era shows I've seen. Avid fans will likely be aware this performance was already available as part of the 'Around The World' live box-set, but if you don't have that, having this available to buy as a standalone release is a very worthy inclusion to the saturated market of Purple live documents.